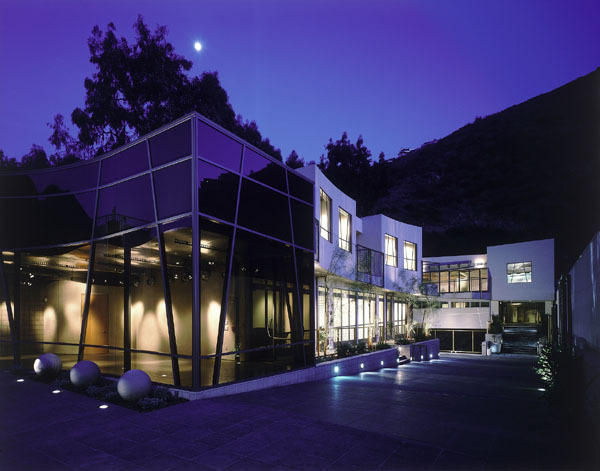 Located near the gorgeous seaside of Laguna Beach, CA, [seven-degrees] is one of southern California’s most unique event venues. For the last ten years, [seven-degrees] has been known as a forward-thinking multi-purpose “idea lab;” [seven-degrees] combines the creation and exhibition of original artwork by providing subsidized artist residencies within an exhibition and event space. Winner of the Bride’s Choice Awards 2011, a best of pick for The Knot three years in a row, and recipient of a perfect rating from Project Wedding, [seven-degrees] is most widely known for hosting extravagant weddings. However, the venue holds over 100 different kinds of events throughout the year, including corporate events, bar mitzvahs, birthday parties, awards ceremonies, fundraisers, performances and an annual art walk held the first Thursday of every month. 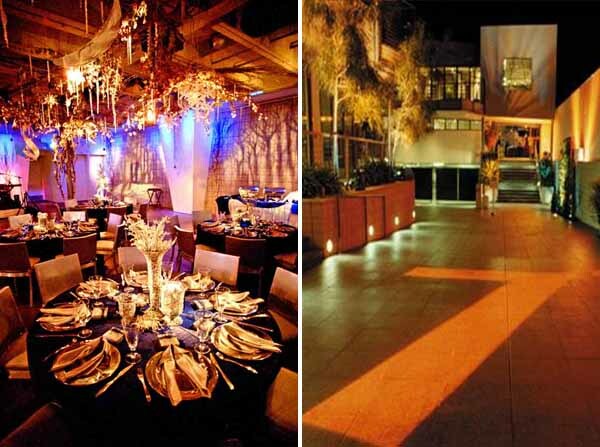 The venue itself is divided into different sections, including a front gallery, the main driveway, and a lovely terrace area that is ideal for weddings. The terrace area features lush gardens and shimmering waterfalls, and can be utilized for summer and winter events–thanks to a large heated tent complete with color lighting. The crowning feature of [seven-degrees] is their large Media Lounge–a dynamic space that was designed to be like a blank canvas: it can be transformed to fit any sort of event imaginable. Over the years, the Media Lounge has been transformed to an under-the-sea playground and to a candy land that could rival Willy Wonka’s. The [seven-degrees] event planning team includes full-service planning, design and production services, as well as an in-house catering team, floral and décor team. In-house audio and visual capabilities include retractable large-screen projection systems, plasma and LCD screens, zoned sound system, video capture and broadcast capability from digital cameras located throughout the facility and intelligent lighting systems including full-room color wash capability. [seven-degrees] is also known for their “Shared Forever” program, which allows guests to share their photos before and during events. The most unique aspect of [seven-degrees] is the artists’ work/live studios. Mark Orgill, one of the original founders of [seven-degrees], wanted to create a space in which an artist would be able to show their work and interact with prominent customers–all while being able to avoid the tricky politics of the art world. Orgill’s vision was a success, and today, artists of all disciplines from all over the world come to live and work at the [seven-degrees] artist residencies. Over the last ten years, [seven-degrees] has hosted events ranging from a the launch party for the Rolls Royce “Ghost,” which went on for over ten days, to transforming the Media Lounge into an icy winter wonderland for a gala to raise money for multiple sclerosis. But the best events that [seven-degrees] has held are the ones where the [seven-degrees] team has the opportunity to give back–and have a little fun themselves. For more information about [seven-degrees], please visit www.seven-degrees.com. 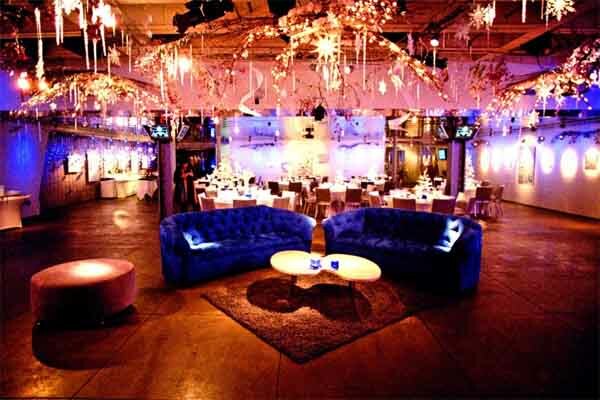 Cool venue, who’s the contact? i love it. it is a great moment for spring. Absolutely stunning use of lighting and space. The event designers are to be commended, the flower garlands and aisle are totally unique. 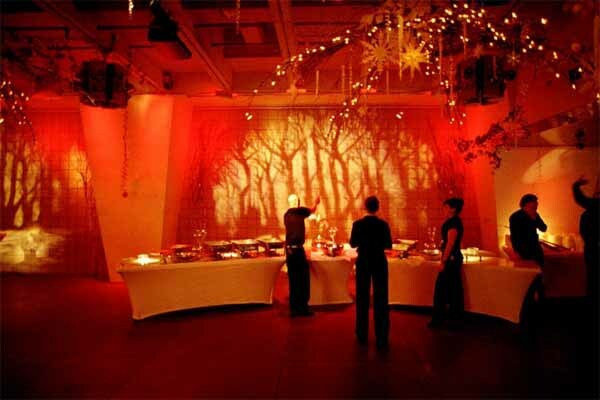 Is it event planning or performance art? Seriously, it looks amazing! Would Tim Burton chic be the best way to describe it?